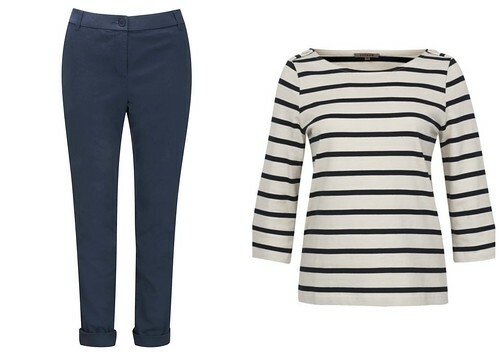 Finding trousers to both fit and suit your body shape is no easy task. The perfect pair is like the golden goose of fashion and, once you find them, you'll wonder how you ever lived without them. Knowing which style suits your body type the best is a good starting place to finding the right look for you, whatever the occasion. A flattering pair can knock off, instead of adding, unwanted inches. One of the most common body shapes in this country, pear shaped women have a large bottom half than top half. If you're a pear then you've probably spent many a moment bemoaning the fact that your trousers make your bottom or hips look big. It's also common to struggle to find trousers that are small enough round the waist but big enough round the bottom. Balance is the key to maximising a pear shaped figure. By broadening your shoulder area and drawing attention to your top half you can minimise any issues with your bottom half. The bootleg style of trouser is great for a pear shape because the slight kick out at the ankle also balances with the hips to create an in and out effect that is way more flattering than just having width around the hips. 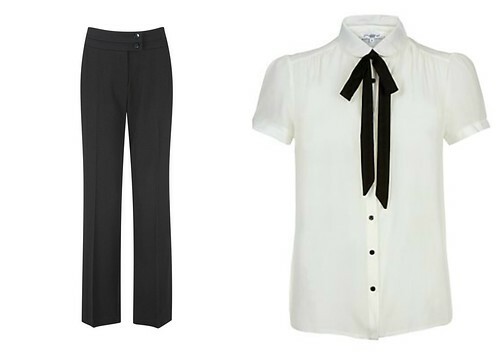 The Bonmarché Stretch Bootleg Trousers are an ideal stalwart for your wardrobe - nobody can have too many black trousers, particularly if you're working in an office environment. They go with everything and are effortlessly figure-friendly. If it's something summery you're looking for then stick with the idea of balance to choose. If you fancy something like the Bonmarché Linen Blend Cropped Trousers for a relaxed day out then try to balance out the width of your trousers by choosing a top with a slightly broader shoulder. Also choose chunkier sandals to go with them as a tiny, dainty pair will just make your bottom area look bigger. Apple shaped women tend to have a big mid-section with no obvious waistline. They do however tend to have great legs so the art here is to make them most of these while disguising a bigger middle. 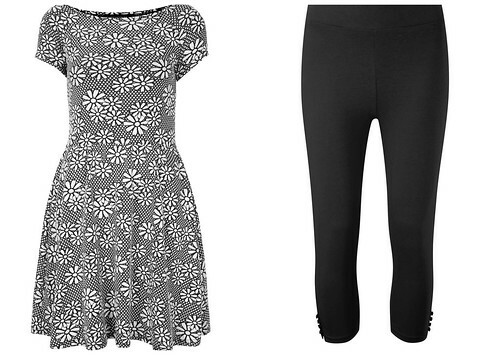 Show off slender legs with Bonmarché's Button Hem Detail Leggings or the on trend, Stretch Cotton Capri Trousers. Choose trousers with stretch as these will be more forgiving on your waist without having to compromise on fit on the legs. Tunic tops are a great way to disguise a wider waistline and these come down nicely to skim just over the hips. Alternatively, look out for empire line tops as these nip in at your narrowest bit and then gently flare over your tummy area. Women with an inverted triangle shape figure tend to have broad shoulders, perhaps top heavy and slim hips and bottom half. When it comes to trousers they are some of the few who can get away with wide trousers and still flatter their figure. Wide legged trousers are a tough look to carry off for many of us but women with an inverted triangle shape body are in luck. These wide trousers, such as the David Emanuel Crepe Wide Leg Trousers from Bonmarché, balance out with broader shoulders really well to create a nice hourglass silhouette. Unless you're supermodel tall, opt for a pair of slight heels for the most figure friendly look. Women with a sporty shape tend to have few obvious ins and outs to their silhouette. They'll certainly find trouser shopping a little easier than a lot of us though. The Bonmarché Chino Trousers are a smart everyday look that can work for work or play but try nipping them in with a pretty belt to create more of an illusion of an obvious waist. You too can opt for wide legs, as these create a shapelier bottom half. Don't neglect your top half though, choosing something like a ruffled blouse will bring focus here too and create an all over elegant statement. Glasses: To embrace or avoid? Cardiff Blogs Jubilee Big Lunch – get involved!